Air Drying Salt Spray Corrosion Test Chamber 0℃ - 85℃ Test Room Temperature for sale – Temperature Humidity Chamber manufacturer from china (108455492). 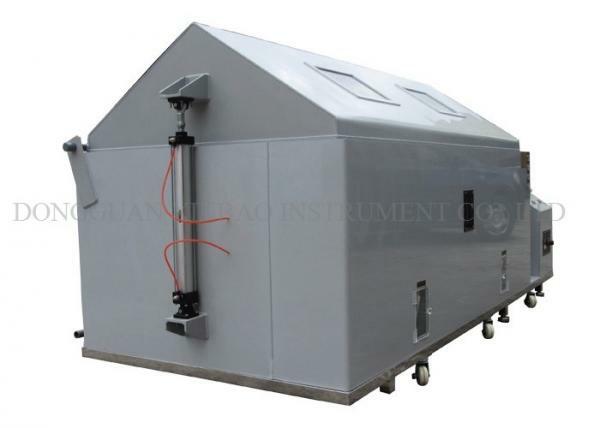 Salt spray Corrosion Test Chamber air drying temperature humidity chamber is applicable for various kinds material’s surface treatment with temperature humidity and salt water spray, such as after coating, electroplate, inorganic and organic membrane dermal, negative pole with antirust oil treatment etc anti-corrosive treatment to test the corrosion-resistance of the product.Can also be used to external lighting and signal device and vehicle lamps shell protection. 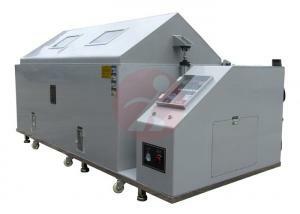 Walk in type salt spray test chamber is available for us. 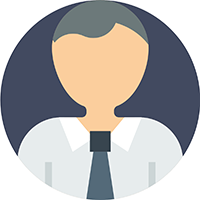 1.Automatic / manual water system has automatically add the water level of the water level is low, the test is not interrupted. Water level is insufficient warning to ensure that the use of safety. 2.Precision glass nozzle (PYREX) made of special glass, mist spread evenly and naturally fall on the specimen, and 4000 hours of continuous use, and to ensure that no crystalline salt obstruction. 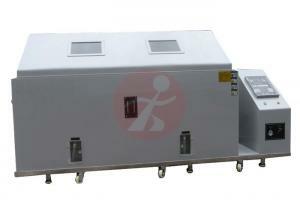 3.Inlet temperature controller using a digital display, PID control, error of ± 0.1 ° C.
4.Laboratory using direct steam heating, heating up fast, and even reduce the standby time, heating tubes with high corrosion-resistant titanium tubing. 5.Laboratory basket rack using plane indexing rack, can arbitrarily adjust the angle, four off the fog, and the fog direction completely consistent. B. Cooling by imported compressor.